Vat on property is something that is easy to overlook if you are buying commercial property. It may also apply to residential property, depending on the circumstances, so you need to be careful and obtain expert tax advice if there is any doubt in your mind. The current situation with regard to VAT and property is the regime in place since 2008. Since then most property transactions are exempt but there are important exceptions where the option to tax the supply of the property is exercised in certain situations. When we refer to ‘property’, remember, we are also referring to leasehold property in addition to freehold interests. The second and subsequent supply of a property, if the supply is made within five years of completion, and the building has been occupied for less than two years. Properties developed after 1st July, 2008 are exempt but the vendor and purchaser can jointly opt to tax. If this option is not exercised the vendor/developer will face a clawback of a proportion of the vat which he has already reclaimed from Revenue on the acquisition or redevelopment of the property. This clawback will be calculated on the vat life of the property. After 1st July, 2008 all lettings are exempt from vat. The landlord can, however, elect to tax and charge vat on the rent at 21%. If he does not opt to tax he will face a clawback based on the vat he has already claimed on the development and/or acquisition of the property. This option to tax does not arise if the landlord himself or a person connected to him occupies the building. The assignment of surrender of a long lease will be chargeable to vat if the tenant who is the assignor was entitled to reclaim vat on acquiring the original lease or the development of the property. 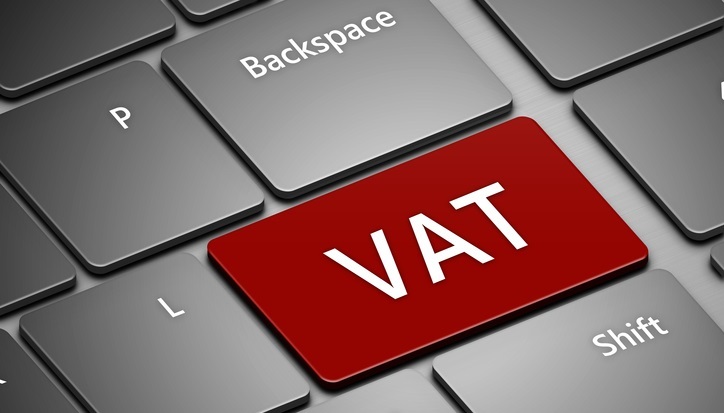 The first supply of new residential property is liable to vat. This page from the Revenue Commissioners is worth reading closely if you are concerned about vat on property. You are strongly advised to obtain tax advice from an accountant or tax consultant if you suspect that the vat position is not clear in either your supply or purchase of property. For the sale of land or real property it was the case that a written note or memorandum was made which was signed by the person to be charged with the contract. Although this requirement was relaxed by reason of the equitable doctrine of part performance. This doctrine held that an oral contract for the sale of land, where no note or memorandum existed, could be enforced by the party seeking to enforce the contract has partly performed his actions under the contract and the other party has acquiesced in those acts of part performance. Section 51.— (1) Subject to subsection (2), no action shall be brought to enforce any contract for the sale or other disposition of land unless the agreement on which such action is brought, or some memorandum or note of it, is in writing and signed by the person against whom the action is brought or that person’s authorised agent. (2) Subsection (1) does not affect the law relating to part performance or other equitable doctrines. (3) For the avoidance of doubt, but subject to an express provision in the contract to the contrary, payment of a deposit in money or money’s worth is not necessary for an enforceable contract. Where the conditions of common law and the Land and Conveyancing Law Reform Act 2009 are satisfied an enforceable contract for the sale of land (real property) comes into being. This type of contract is known as an ‘open contract’ because all the terms of the contract are not set out in the memorandum. A closed contract, by contrast, is one in which the parties set out all the terms of the agreement in a formal agreement. It is the practice in Ireland that the standard form Contract for Sale produced by the Law Society of Ireland is used. You can learn more about the standard form contract for sale here. This is the contract that will be used in property transactions in Ireland. Are you thinking about buying a residential property? Or a commercial property? If you are you should know about the Certificate of Title system in conveyancing in Ireland. Let’s take a look at how it works, shall we, and what it might mean for you as a purchaser? If you are not a cash buyer and you are borrowing from a bank your solicitor will have to give the bank a ‘solicitor’s undertaking’. This is an undertaking to obtain good marketable title to the property. Once good marketable title is obtained the sale will complete and the solicitor will send in the title documents to the lender. The solicitor will then give a Certificate of Title and the bank will rely on this rather than the solicitor’s undertaking and the lender will hold onto the documents of title. Once the bank’s mortgage is secured on the property and good marketable title has been obtained then the bank will be able to move on the property if there is a default on the loan. It is a rare enough occurrence in Ireland, quite frankly, but when the bank does repossess a property they want to know they can sell it without any major title problems. And they will already have the solicitor’s certificate, which certifies title, and on which they will rely. If any problems then arise in relation to the sale of the secured property the solicitor who certified titled will have a major problem as the bank will be able to pursue him/her for professional negligence if he failed to notice a major title defect with the property. 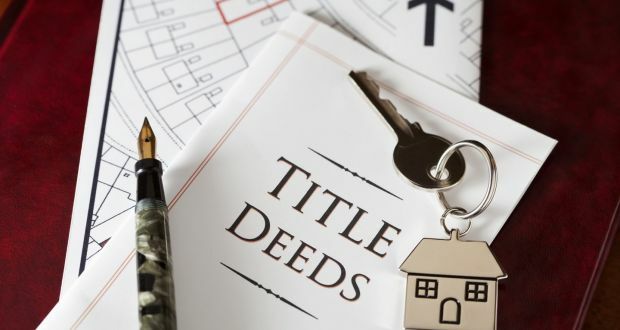 You may be happy to proceed with the purchase of a property but your solicitor may not if there is a problem which will affect his ability to give an undertaking to obtain good marketable title and to certify title later on. Problems which would concern a solicitor would be issues such as easements, rights of way, planning permission issues, building regulation problems, septic tanks on someone else’s property, no certificate of compliance from an architect/engineer, and so forth. Minor issues which might be flagged up in a structural survey may not cause much concern, but the issues would need to be genuinely minor. If any of these serious issues arise the solicitor will write to the lender and state that he proposes qualifying his undertaking and certificate of title due to the problem he has encountered and he will ask the bank to accept this qualification and confirm its approval. The lender may approve or may not agree. If the lender does not agree then the purchase cannot proceed. 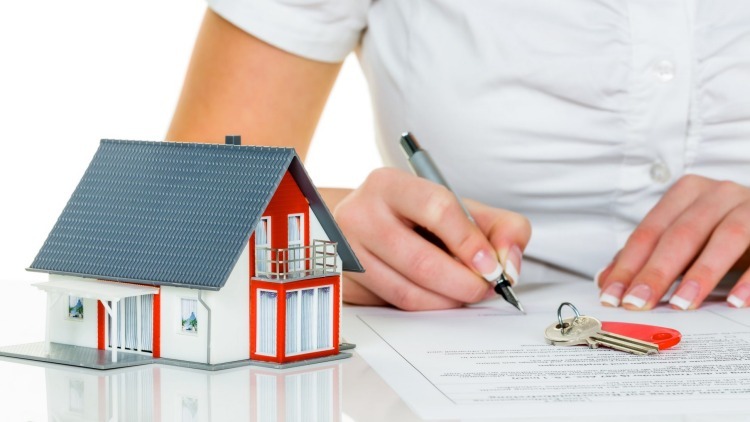 The key point to understand is that if you are buying property and there is a lender involved and there is a problem with the title documents to the property the decision to proceed is not yours alone. Because the solicitor will also be putting his professional indemnity insurance on the line and will naturally wish to have a say. Without your solicitor giving an undertaking to the lender in the first place and later providing a certificate of title the lender will not advance your loan for completion. Thinking about buying property in Ireland? You are living outside Ireland? Or you are not an Irish citizen? Firstly, the good news is that there is no restrictions on non Irish citizens buying property in Ireland; and this applies whether you are an EU national or a non-EU national. The bad news, however, is that ownership of property does not entitle you to reside in Ireland. The whole area of visas, residency, immigration, work permits, asylum is a complex one and you will find more information about these topics on the Irish Naturalisation and Immigration Service website. If you intend letting the property, and there is a very healthy residential letting market in Ireland in 2018, the tenant is obliged to withhold 20% of the annual rent and pay it over to the Irish tax authorities, the Revenue Commissioners, unless you have appointed a collection agent. The collection agent-someone like an accountant, solicitor, or estate agent-will be liable for making the tax returns on the rental income but you will have been obliged to register with the Revenue Commissioners for tax purposes prior to purchase anyway. On purchasing a residential or commercial property in Ireland you will have to pay stamp duty. This is currently 1% on residential properties and 6% on commercial properties and for your solicitor to do your stamp duty return he will need a PPS or tax number for you. If you are non resident and have never had a PPS or tax number you will need to apply for one from the Department of Social Protection. You can learn more about applying for a PPS number here. Once you buy your property you will have Local Property Tax (LPT) to pay; the amount will depend on the value of the property. You can learn more about local property tax here. If you buy a commercial property you pay commercial rates to the local authority instead of LPT. One of the first things you will need to consider is instructing a solicitor to act on your behalf. Your solicitor will be able to explain how the conveyancing process works in Ireland, the various steps in a conveyance, the legal difference between a booking deposit and contract deposit, and the legal costs and outlays you will encounter. You will also be advised to engage the services of a structural surveyor to check the structural integrity of the property, check for signs of pyrite, and check the boundaries on the ground as compared to the Property Registration Authority folio map/filed plan. You should be aware, too, of the differences between buying a house as opposed to an apartment; the most important one will be that a management company will need to be in place to manage the common areas in a multi unit development such as an apartment development. There is no difficulty buying property in Ireland but you will need to obtain a PPS/tax number from the Revenue Commissioners and engage the services of a solicitor early in your search. Make sure you are dealing with a registered auctioneer/estate agent and that he/she is registered with one of the accredited auctioneering bodies in Ireland and he/she is registered with the Property Services Regulatory Authority. Are you buying a house or apartment? Are you wondering about the deposit you will have to pay, and whether you can get it back if the sale does not go ahead? Let’s take a look and I will clarify the situation for you. The booking deposit you pay to an auctioneer is fully refundable. You can change your mind about buying the house for good, bad, or no reason and you are entitled to get your booking deposit back. Just make sure the booking deposit is paid to the auctioneer, not the vendor, and get a receipt confirming it is a booking deposit. You can also, if you feel it necessary, visit the website of the Property Services Regulatory Authority and check the auctioneer is on the public register. The contract deposit is payable when you sign and return the contracts to the vendor’s solicitor. 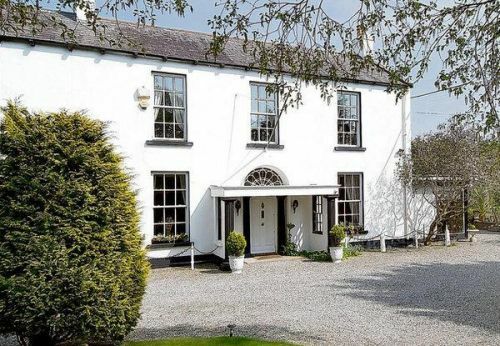 Let’s assume you are buying a property for €200,000. The contract deposit will be 10% of the purchase price-that is, €20,000. So, when you sign the contracts you will have to pay €20,000 less whatever booking deposit you have paid to the auctioneer. Let’s assume you have paid €5,000 booking deposit to the auctioneer; then you will have to pay €15,000 when you are signing and returning the contracts. Once the vendor has signed the contracts and returns one part to your solicitor there is a binding contract in place. At this point you will not get your deposit back if you change your mind. However, there is an exception to this: if your solicitor had inserted a “subject to finance” clause in the contract and the finance does not, for whatever reason, come through then you may be entitled to the deposit back on the basis that there is no binding contract in place as the contract was “subject to finance”. Be very careful, though: failure to complete a sale can lead to the forfeiting of your deposit. Also, the vendor can actually sue you for the balance of the purchase price and to compel you to complete the sale-a remedy of specific performance. This will not be of much use, however, if you are simply unable to complete. But damages will be payable if the vendor rescinds the contract by serving a Completion Notice and you are unable to complete (see below). In addition, the vendor can sell the property to someone else and if they get a lower price he can sue you for the difference-that is, the drop in value or sales price. First, he needs to serve a Completion Notice on you. The vendor’s solicitor holds the contract deposit as ‘stakeholder’. This means he/she is personally responsible to both purchaser and vendor for its safe-keeping. The stakeholder cannot hand over the deposit to the vendor until the vendor is entitled to it. Once the closing date has passed and you have been unable to complete the purchase the vendor can serve a Completion Notice on you. This makes time of the essence in relation to completing the sale. When the time in the Completion Notice has passed the vendor can rescind (bring to an end) the contract and pursue you for damages and loss arising from your failure to complete the transaction. When you buy at auction the procedure is slightly different. When the hammer falls and you are the highest bidder you will not be paying a booking deposit, but will have to sign the contract and pay the contract deposit. If you are unable to complete, therefore, you will lose your deposit. So, you need to carry out all your research about the property you have your eye on before you go to the auction; doing so later on is too late and is a stupid, avoidable mistake. 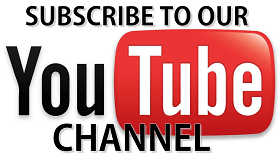 (Learn more about buying property at auction here). Booking deposits are refundable; contract deposits are not so get professional advice and carry out your due diligence before signing the contract and paying the contract deposit, not after.